Tried this and Just loved it. My stomach is an area that I always struggle with and it helped to improve the tone of my tummy especially, so in a dress. I had difficulty losing stubborn belly fat. I tried 3 sessions of Strawberry Laser Lipo and my shirts now definitely fit better. I still have a bit to go but, this treatment has given me a great start and has also motivated me to also watch my diet a little better also. I had 3 sessions of Strawberry Laser Lipo and I am already amazed by the difference that just 3 sessions have made. I am going to continue on to do another 3 treatments and I have no doubt I will be just as pleased with the next 3. I had 6 sessions of Strawberry Laser Lipo on my stomach. I thought the treatment was excellent and was far superior to anything I have tried in the past. I had this treatment for my upper and lower abdominals. It worked well and I am very pleased with the results. I found the strawberry laser lipo sessions very relaxing and very effective. If you do the 20 mins of exercise on the same day as the treatment as advised the results are excellent. I have just had 6 treatments of Strawberry Laser lipo over 3 weeks. I have to say I was a little anxious at first as I didn’t really know what to expect but, once I got there and spoke to Karen I was totally reassured. She also told me that you should expect to see results a few days after the 2nd treatment and sure enough, I certainly did. 5 stars to Ardrahan Laser Lipo. I had 3 treatments of Strawberry Laser Lipo done on my thighs and they definitely feel more toned. I would highly recommend to everyone. I do 3 sessions of this treatment anytime that I have any occasion coming up and it gets me “suit ready”every time. A wonderful treatment for helping to get rid of the post-baby bulge. It is a 20-minute treatment so it fits in well with a busy schedule. Great Treatment, it does what it says it is going to do and, I am delighted with the results. A friend that had tried Strawberry Laser Lipo at Ardrahan Laser Lipo really recommended the treatment and the clinic. I went and had 3 treatments on my stomach. I am thrilled with the results, I have lost 3 inches from both my upper and lower abdominals. I had 6 sessions of Strawberry Laser Lipo I have an underactive thyroid. I have tried many treatments before and I haven`t seen any results. Karen explained that it may take a little longer to see results because of my medication. I started to see results after the 3rd treatment and I was very pleased with the treatment. A great treatment for a flabby belly and the price is brilliant too. I have had 3 treatments of Strawberry Laser Lipo, and I am absolutely delighted with the results. I have lost 2.5 inches off both my upper and lower abdominals. The treatment is completely pain-free. I have a few events to go to and I am so delighted that I had this treatment done. 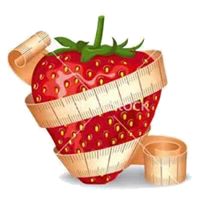 Strawberry Laser Lipo is a great way to get in shape and to stay in shape. I Love it. I Loved this Inch loss treatment so much. The treatment is painless, there is absolutely no downtime and the results last. I do 3 sessions on my stomach if I have an event coming up. It is €99 for 3 sessions and it is well worth it. I always feel lighter and more confident after treatments. I went to Ardrahan Laser Lipo as a friend of mine tried it a few months previously and, she was still very impressed with her results. I found the clinic very warm and inviting. The treatment worked very well and I can only highly recommend it also. Ardrahan Laser Lipo Clinic is located in Ardrahan Village, just off the N18 beside the GAA pitch. Convenient to bus route, buses leave Galway City every hour.